OnePlus is reportedly working on OnePlus 6, instead of the OnePlus 5T. According to reports, OnePlus will launch its next flagship as early as January 2018. The company is focusing on launching the OnePlus 6 as soon as possible because it has decided to cancel the OnePlus 5T. The report suggests that the OnePlus 6 will use a completely new design compared to the OnePlus 5. OnePlus is likely to follow the current trend and will use a design that will give more space to the screen. So, the OnePlus 6 may sport a bezel-less screen in 18:9 aspect ratio with QHD resolution. It also hints that the OnePlus 6 may come with a bigger screen than the 5.5-inch display in the OnePlus 5 and may sport a 6-inch display. If we talk about hardware, as we know, OnePlus is quite particular about using the latest processor. All three of its previous flagships have used the latest chips viz OnePlus 3 has Snapdragon 820, the OnePlus 3T used the Snapdragon 821 and the OnePlus 5 uses the Snapdragon 835. So, it is most likely that the OnePlus 6 will also come with the latest processor. Qualcomm has not yet officially announced its next flagship chipset. However, it was also leaked earlier that the US chipmaker is working on Snapdragon 845, which may get announced in December. So, we can expect the same on OnePlus 6. The OnePlus 6 is also certain to come with 6GB and 8GB RAM variants just like the OnePlus 5. If we talk about internal storage, as 64GB has become common, so it is quite possible that OnePlus may introduce the OnePlus 6 in 128GB and the 256GB variants. 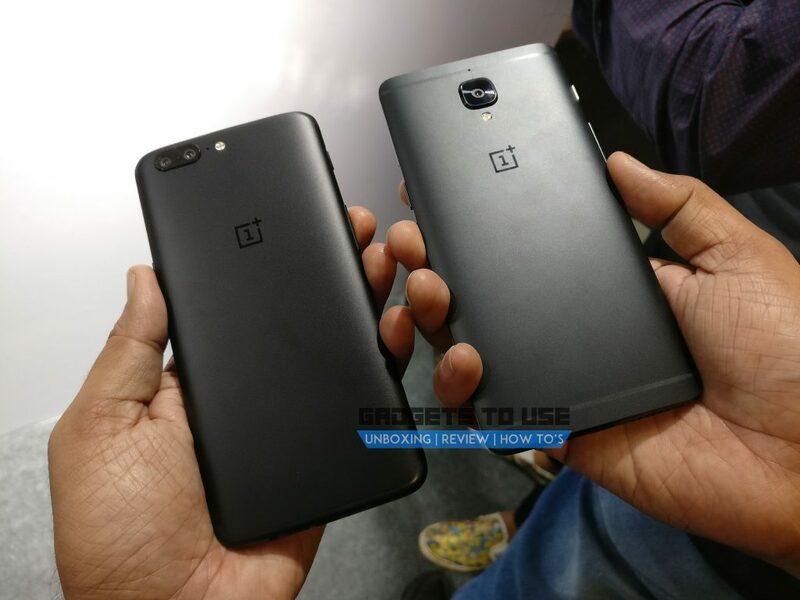 Coming to the camera, it is expected that OnePlus will pay a special attention to the OnePlus 6 camera, as it has faced criticism on OnePlus 5 camera. It is almost certain that the OnePlus 6 may also come with a dual rear camera setup, like the OnePlus 5. But, it is possible that OnePlus may use different image sensors in the OnePlus 6 camera. Other features are easy to expect. It is certain that the OnePlus 6 will come with a metal and glass body, and fingerprint scanner will move to the back. Features like USB-C, dash charging support and Oxygen OS based on Android Oreo are almost certain.